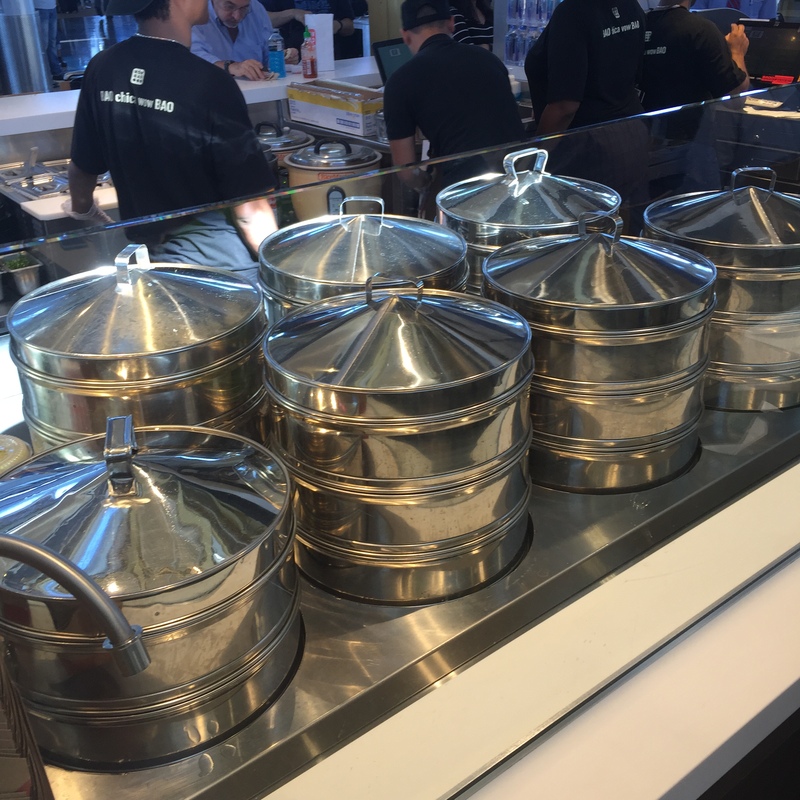 Its all about context, when I originally reviewed Wow Bao in Chicago I gave them a mediocre review, but I was positively psyched to see a Wow Bao at the American Airlines gates at Reagan National Airport. I travel a lot and, despite some improvements in recent years, the food served at U.S. airports is terrible. This is especially true if you are vegan or vegetarian, it is a wasteland out there. Why can’t the U.S. produce an airport like Inchon Airport in Korea? 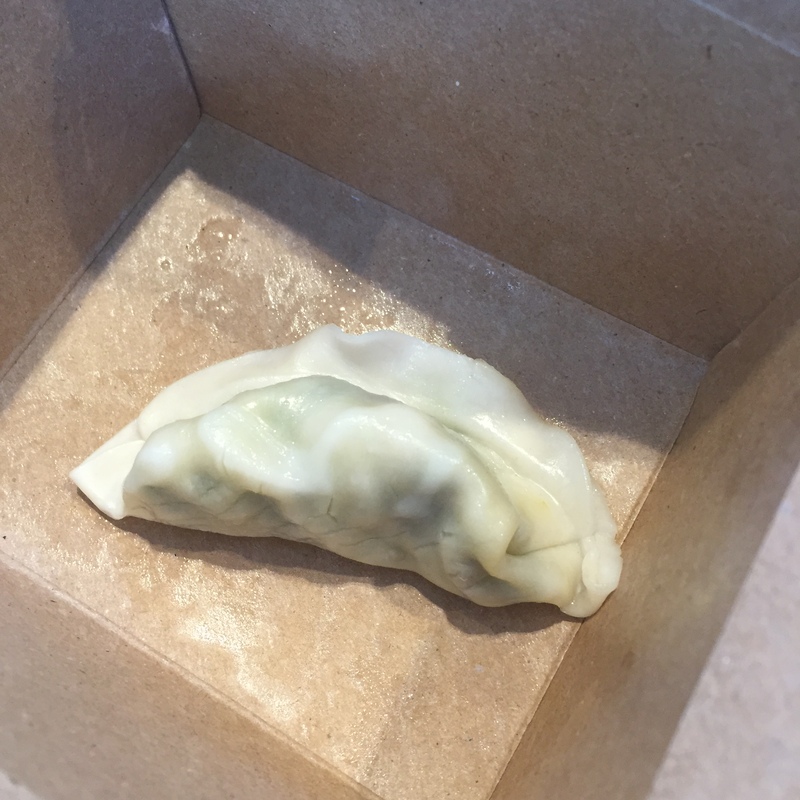 Previously I tried the BBQ Pork Bao, the Edamame Bao and the Pork and Cabbage pot stickers, this time I tried the steamed Green Vegetable Dumplings. These dumplings appeared to be filled with greens, peanuts, edamame and mushrooms and were objectively pretty good. But given my rock bottom expectations for food that evening at the airport (I was expecting fried carbs covered in cheese) I was positively giddy to be eating steamed veggie dumplings. The wrappers for these dumplings contain egg and so are vegetarian, but not vegan. You can get orders of 5 or 8 dumplings served in a Chinese restaurant cardboard box to-go container and the Wow Bao kiosk at Reagan Airport has a small counter you can eat at. This entry was posted in Vegetarian, Washington. Bookmark the permalink.